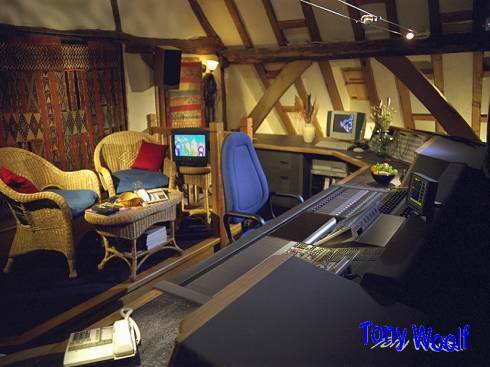 As an independent consultant, I can provide services ranging from general advice on site selection and background noise measurement, to complete acoustic consultancy on recording, broadcast and film dubbing studio projects. Small projects such as individual studios and voice booths in existing buildings may not always require an architect. In such cases I can provide drawings and specifications to your own building contractor and ventilation engineers. This can be a very cost-effective option. On larger projects, I usually provide full specifications and detail drawings for incorporation into the tender and construction drawings. If you're building a studio, have a look at the Project Guide. There's no problem in suiting clients who want their studios to have an individual appearance, as I don't have a standard studio design. I also undertake trouble-shooting, and remedial work - for example, investigating problems of loudspeaker monitoring or sound insulation. I use industry standard test equipment with properly traceable calibration. If it's appropriate to your project, I can do a design for loudspeaker monitoring that minimises early reflections, to give the best possible stereo image. I use computer-based test equipment for checking the time response and the detailed frequency response of loudspeaker monitoring systems.